The name Simonetta Vespucci may not say much to many people, yet everyone knows her face. Considered the most beautiful woman of the Renaissance, “la bella Simonetta”, as she was nicknamed, was praised by the poets and painted by the painters of her time. 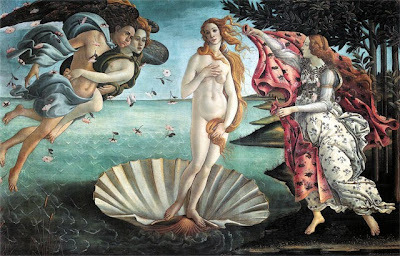 She’s the inspiration, and the face, of one of the most famous paintings of all times, “The Birth of Venus” by Sandro Botticelli. 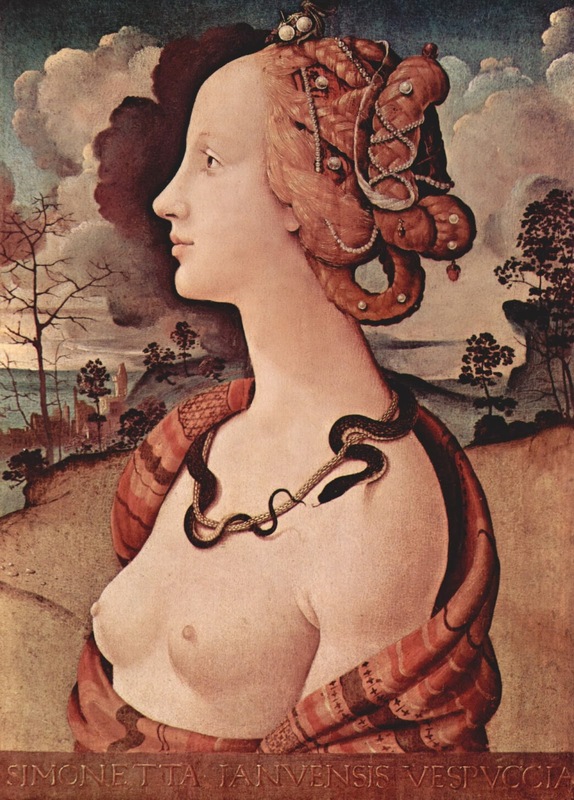 Simonetta, daughter of the nobleman Gaspare Cattaneo and his wife Catocchia Spinola, was born in Genoa in 1454. A lovely child, she grew into a stunning young woman. 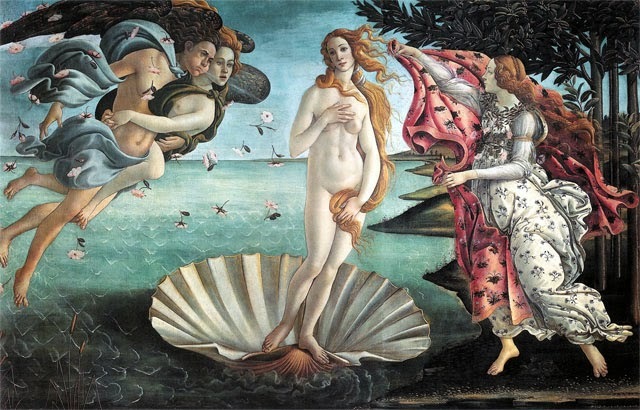 At 15, she married Marco Vespucci (he was a cousin of the famous explorer Amerigo) and moved with him to Florence, the capital of the Italian Renaissance. Her beauty, coupled with her sweet disposition, turned her into a celebrity. In 1475, she caught the eye of Giuliano Medici, the younger brother of Lorenzo the Magnificent, who ruled the city. That year he took part in, and won, a jousting tournament. 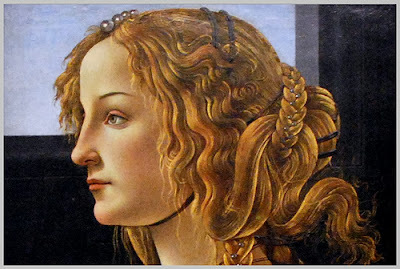 The prize was a portrait of Simonetta painted by Botticelli. Underneath it were the words “La Sans Pareille” (The incomparable one). There are rumours that the two had an affair, but their love probably remained platonic. Giuliano was only one of the many men smitten by Simonetta. 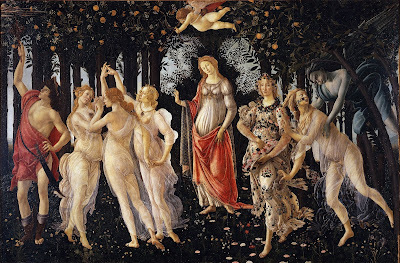 Botticelli loved her too. She was also his muse and inspired some of his most beautiful works of art. 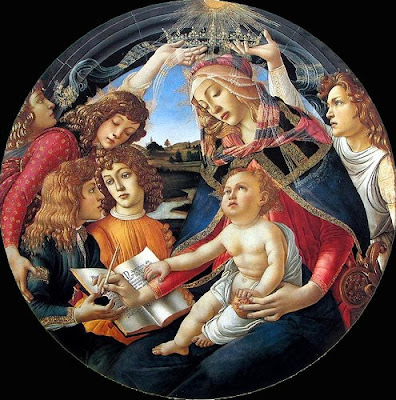 Many of his Madonnas, as well as the Venus in Primavera, have been modelled, not always accurately, on Simonetta. Sadly, Simonetta graced Florence only for a very short time. She died, probably of tuberculosis, during the night of 26th and 27th April 1476, aged only 22. Her loss was mourned by the whole town. Many people followed her bier to the Church of Ognissanti, where she still rests. Even after her death, Simonetta continued to inspired Botticelli. When he died, in 1510, he was buried at her feet as he had requested.